We do. And you should. But any foundation or concealer will do, right? It doesn't matter, right? At Premier Dermatology, MD, we treat acne with a variety of prescription and office-based treatments - oral antibiotics, topical antibiotics, topical retinoids, topical anti-inflammatory creams, benzoyl peroxide and salicylic acid washes, chemical peels, deep-cleaning facials with extractions, hormone-based treatments, and even isotretinoin (accutane). Of nearly equal importance are the sunscreens, moisturizers, cleansers, and makeup that are used in conjunction with prescribed treatments. We carry hand-selected skincare products specifically chosen to compliment regimens. The wrong makeup can clog pores, increasing oil production and resulting more breakouts - the very opposite of what we are trying to treat. 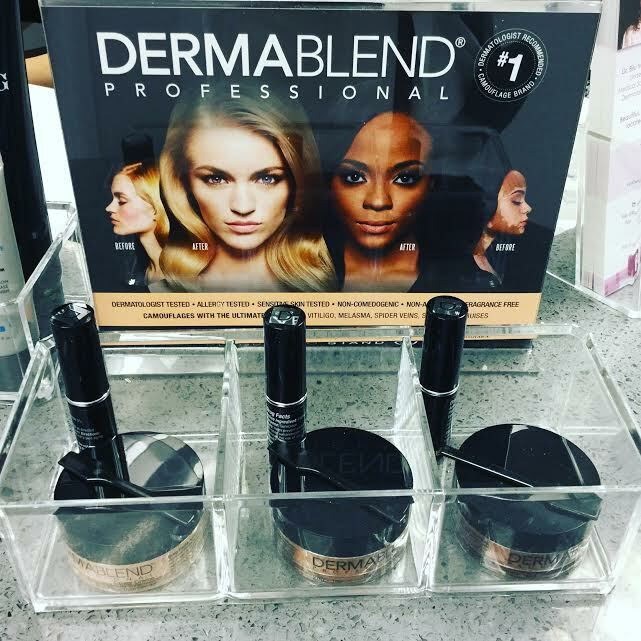 That's why we are so pleased to offer Dermablend makeup to our patients. Their makeup is non-acnegenic, non-comedogenic, non-oily, and fragrance-free. And they really cover redness, pigment (melasma), lack of pigment (vitiligo) and scarring. The cover creme foundations also contain titanium dioxide SPF 30 sunscreen for extra protection. When paired with the setting powder, the makeup can stay on for 16 hours. The quick-fix concealers are amazing. These potent little sticks are perfect for blending under-eye circles and bruising that can occur after filler injections. Use them to cover-up blemishes, skin discoloration, and uneven skin tone. Dermatologist tested and approved; be sure to ask us about Dermablend at your next visit at pdmd!